Nintendo announced some cool stuff today—especially the fact that it’s bringing its games to mobiles. But the most interesting news today was the fact that the company is working on a brand new console! The next-generation console is dubbed NX for the time being and is under development with a “brand new concept,” whatever that means. Nintendo didn’t say much else, however, but that’s expected. Company chief executive Satoru Iwata did say that we’ll learn more about the device in the next year, which means it could make its debut at E3 2016 or its own dedicated unveiling, a trend which Nintendo has recently been following. Today’s press conference was mostly about Nintendo moving to the mobile games arena. So, the announcement of the NX may be considered a sort of reassurance that the company’s sticking it out in the dedicated gaming market. Sony and Microsoft have been doing well with their relatively new consoles, whereas Nintendo seemed to have lost its way with Wii U. 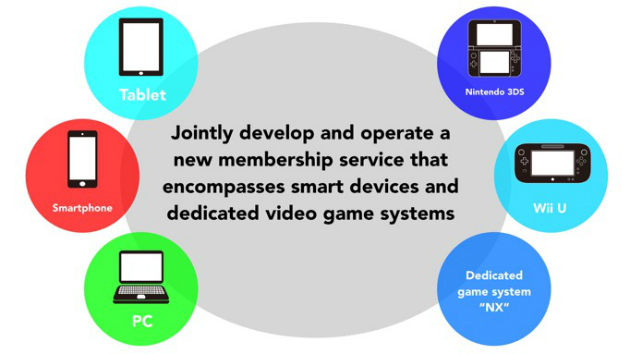 This is why the NX is important and ultimately vital for the company’s future. The “brand new concept” is rather beguiling. I can’t begin to suspect what it may be, but considering just how prominent VR has become in the past few months, I can wager it being an integral part of the NX. But then again, Nintendo has been known to buck the trend and surprise people. Whatever the case may be, I’m excited for the NX, and you should be too. Nintendo is back in the game… again.